"Early printer with timing card"
Early printer with timing card. 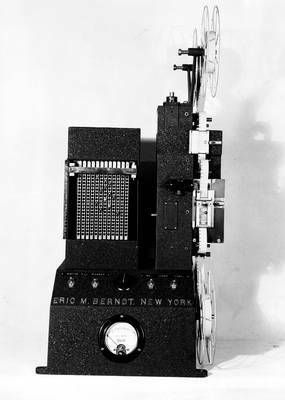 “Eric M. Berndt New York” stamped on the front. Photographed 12/9/1933. BW film negative; 4.25" x 3.25"